This unit helps students learn how archaeologists investigate the ways people lived in the past. The investigation begins by introducing the mystery of ancient seeds that were found by archaeologists. This leads to a study of how archaeologists investigated the mounds found near Minneapolis, Kansas. Students learn what questions the archaeologists asked. They conduct their own investigation of prehistoric agriculture in Kansas. They will practice sorting images found in the student magazine into various categories and reach conclusions about what people ate and the tools they used 5,000 years ago as hunters-gatherers. As the students advance through the lesson they will learn why it is a civic responsibility to protect archaeological sites. Section three introduces Carl Barnes and the legend of the Three Sisters. The lesson then connects the study of ancient civilizations to the students today by reminding them of the importance of living a healthy lifestyle and encouraging a community garden project. 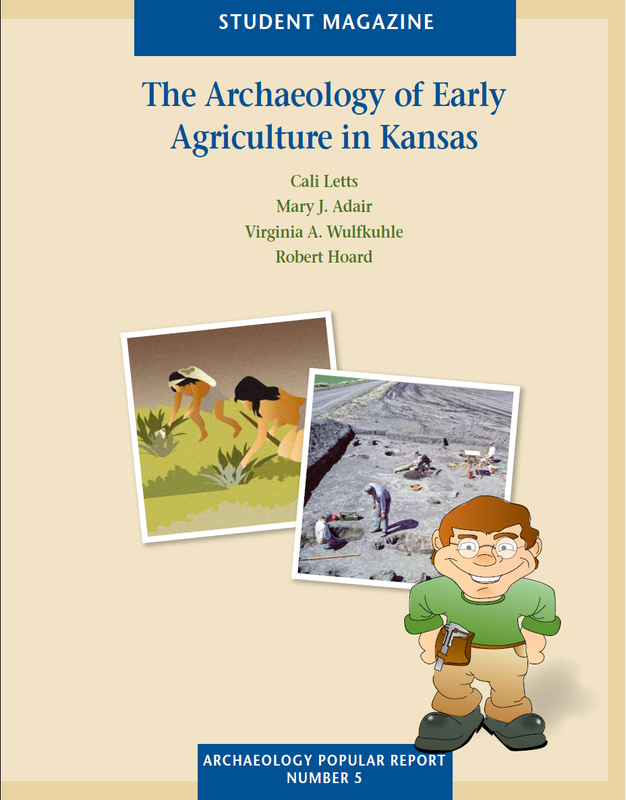 The Archaeology of Early Agriculture in Kansas is designed for fifth grade but can be used at the teacher's discretion with students of other ages and abilities. We realize that teachers will adapt materials to fit the particular needs of their students; however, we encourage each recipient to teach the materials the way we have laid them out the first time. The teacher guide PDF file provides step-by-step instructions and answers coupled with miniature copies of the actual student magazine and student journal pages. The colorful student magazine is the text and is intended to be non-consumable. The consumable student journal offers students their own record of the activities included in the lesson.